I wanted to do something in non traditional Christmas colors. At first I was thinking of using pastel colors, but the lettering fell flat. 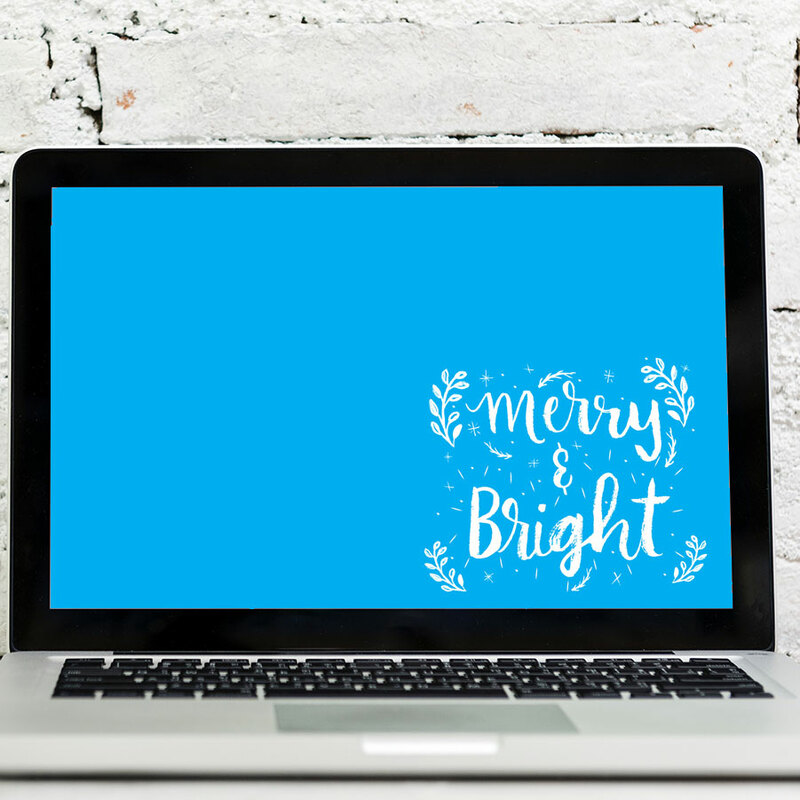 I especially didn’t want the words Merry & Bright to be flat because that would just be sad and no one wants that… SO I decided to switch gears and instead of pastel colors use super saturated bright colors instead. Now the Merry & Bright really do look Merry. And. Bright! I love how these bold colors really make the lettering PoP! I personally think that having options is a VERY good thing.. so I created these Christmas Digital Wallpapers in 3 different colors. You can have one of each color on your electronic devices. For example, I have the pink on my desktop and the green on my tablet.. and then the blue on my smartphone! I love being able to mix things up. Don’t you? These bright colors remind me of candy!